Danby Silhouette Wine Cooler Stainless (P/N DWC518BLS). 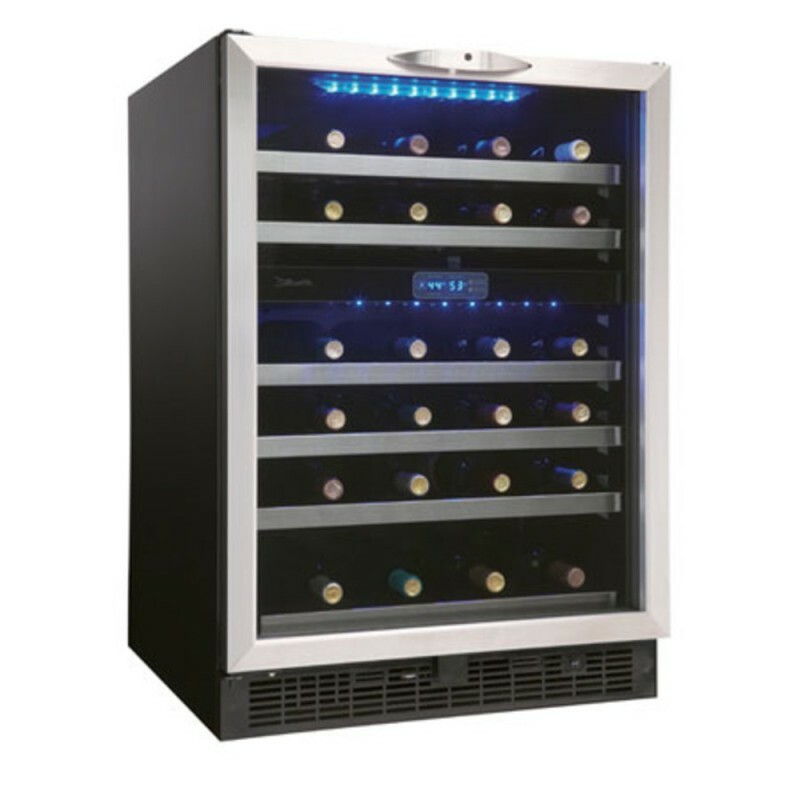 This wine cooler is our most popular sized unit for under-the-counter installations. The dual-temperature zones allow white wines to be stored at ideal serving temperatures in the high 40 degrees, and at the same time maintaining red wines at warmer mid-to-high 50 degrees. Featuring storage capacity for 51 bottles, the DWC518BLS wine cooler can be used in both built-in and freestanding applications. With clean lines and stainless steel trim, this dual-temperature wine cooler can store 51 bottles of white and red wines at the perfect serving temperatures.